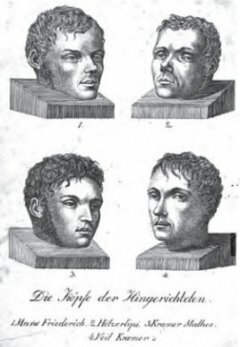 On this date in 1812, the German bandit Hölzerlips — that’s just “Philip of the Woods”, despite what your dirty mind was thinking — was beheaded with three compatriots at Heidelberg. 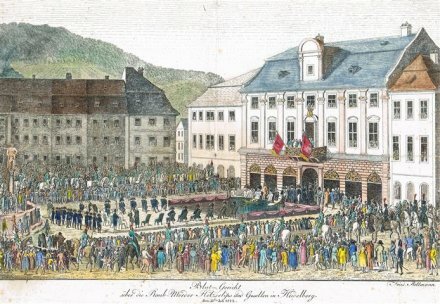 They were part of a gang of six vagrant souls (the other two were spared on account of youth) who, finding everything displaced in the time of the Napoleonic wars, made their daily bread robbing around the Spessart in southern Germany. In this capacity they racked up at least 15 known incidents of highway robbery, going so far as to kill a Swiss merchant on the road in 1811. 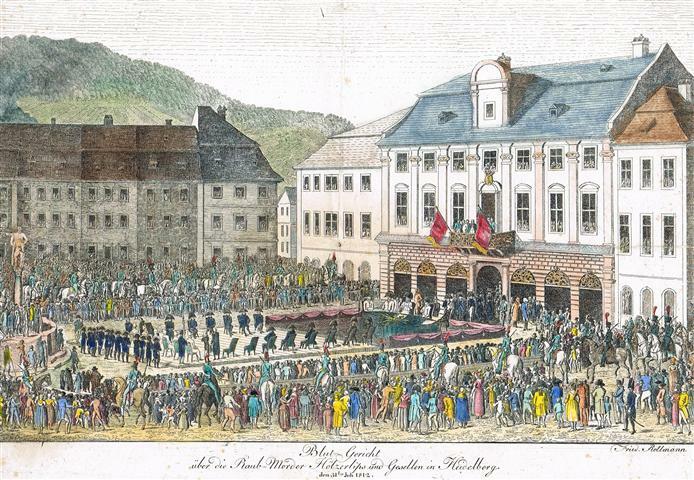 Captured shortly thereafter, Heidelberg grandees considered them (in)famous enough to merit a staged Blutgericht (“Blood Court”) followed by beheading this date, a spectacle that drew 30,000 gawking spectators in its day. As far as I know, “Hölzer” doesn’t mean a person from the woods, but rather a wood merchant.